Now, many parents will prepare a separated baby room, to give baby his own space. Not only relieve baby’ excessive dependency of parents, but also improve his independent ability. In babyhood, bedroom is where baby stays the longest. 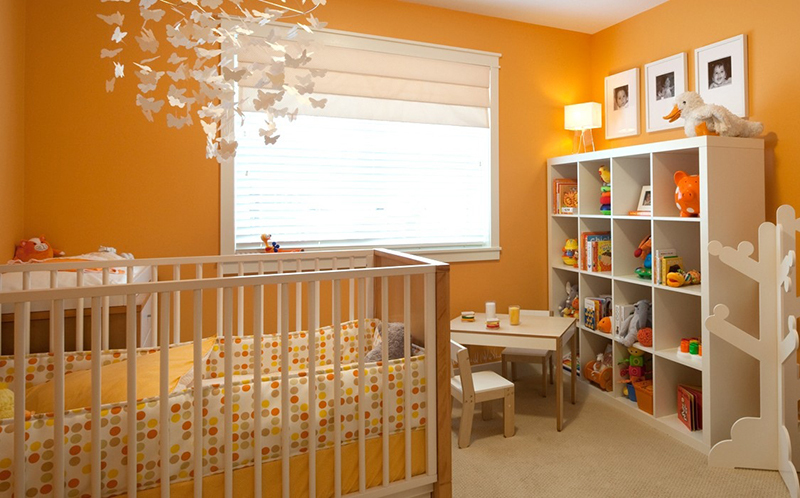 A good baby room, can provide a comfortable environment, which can give baby a good sleeping. 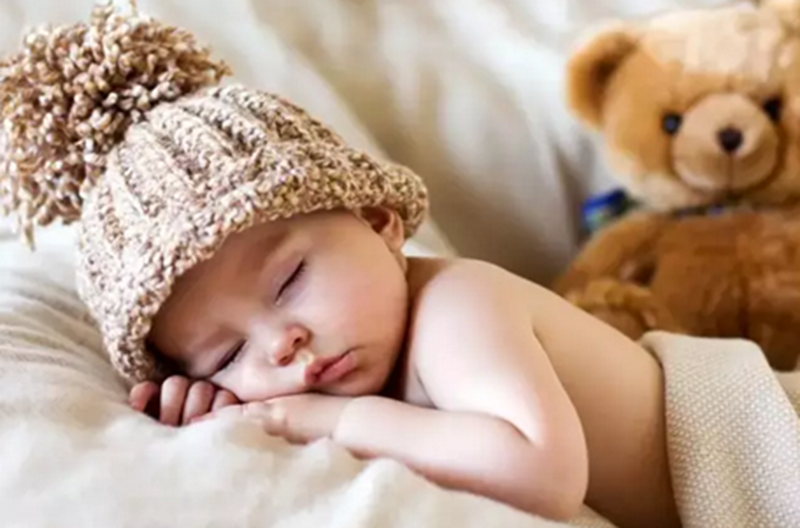 When making a baby room, security is the first consideration for parents. Make the square furniture to the round, put the power socket in the enough height that baby can’t touch it, or avoid the poisonous decoration material, etc. However, they don’t have so many requirement of color, the color has a little bright is acceptable. In fact, color matching is not good, not only affect the beauty, what’s worse, it will cause the color pollution which will influence baby’s health. Color must be refreshing, bright, joyous, no dark color. Study has proved that baby likes nature color, such as pink, light blue, lemon yellow, bright apple green or grass green. Using the original color will get room look more bright and lovely. Suggestion: use soft and refreshing light color in wall, milk white or burly wood in furniture, at the same time, change different color of decoration according to baby age and hobby. 1. 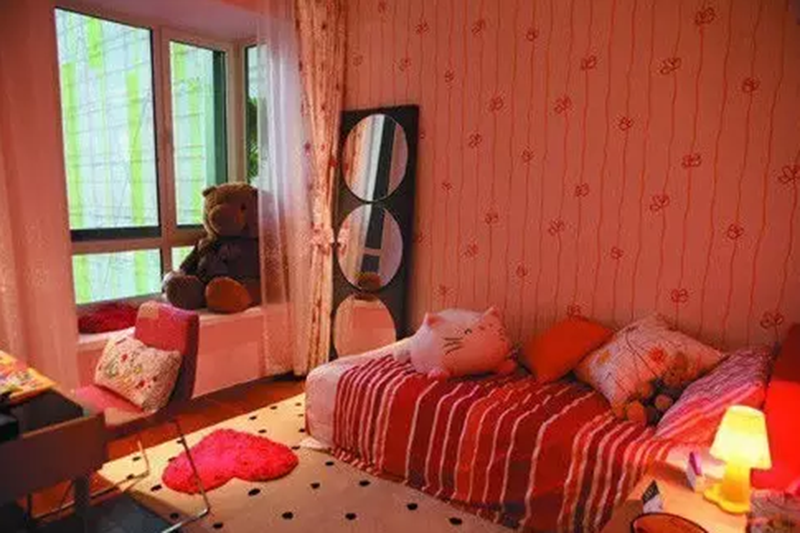 Pink: Pink baby room is suitable for baby girl, that can develop baby genital character, what’s more, pink looks more comfortable and bring a feeling of entering a princess room. 2. 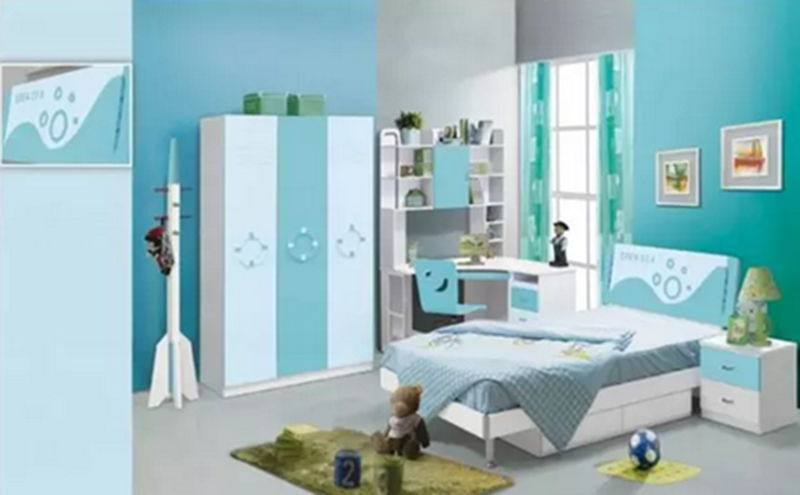 Light blue: Light blue baby room is suitable for baby boy, as sky and see color, it looks very wide, which can let baby boy feel living in endless word and cultivate the imagination. If add some stars and moon in the ceiling, that will more perfect. 3. Grass green add bright yellow: Grass means life and vitality, so grass green represent motion and energy. 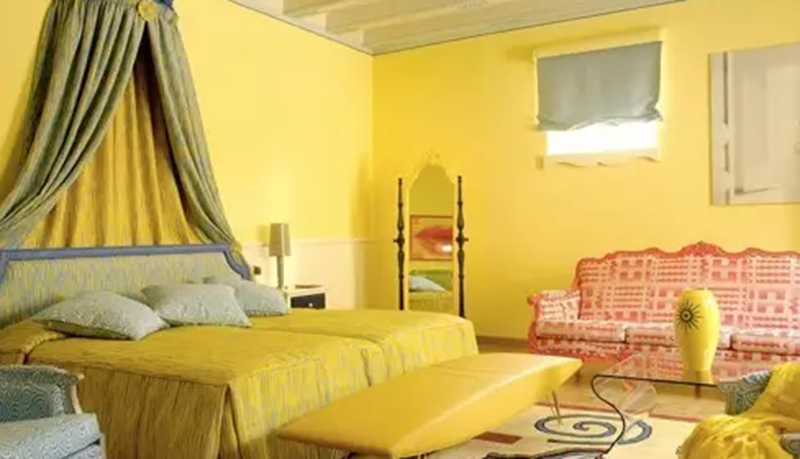 But grass green can’t be a only color in the room, if can add the bright yellow that will be perfect. Also need to mention is, if baby likes painting graffiti on the walls, parent must do a specialized graffiti area for baby, also can put on large pieces of paper on the wall, to meet the baby's creation desire, which ensures a strong clean. Red: Although red can stimulate the nervous system, but also can make people feel tired quickly. Red is not too much in baby room, or is not conducive to the baby's life. Orange: Orange is also very easy to stimulate the nervous system, and can cause people's attention, so green workers wear orange overalls, that can play a warning to the driver's attention. Because the baby is curious, if the room too much orange, too heavy, it will often cause the child's attention, then impact baby sleep. Yellow: Yellow can stimulate the nervous system and digestive system, suitable for dining place. Should not be too much for the baby room. White: White with murderous look likely to make the baby feel nervous, for baby form cheerful and optimistic character to have certain negative effects. Black：Black is easy to fatigue, lack of energy.